Chickens is my third novel and one which still means a lot to me. I spent 13 years working in a local authority service to support the education of children in the care system, and I used some of my experience to create the characters and the story. However, it is not a difficult or depressing read and has had many good reviews. Tony has a secret, well, more than one secret if truth be told. He has succeeded in turning his life around and leaving his past in the care system behind him, but the only person he ever confided in was Rachael, his girlfriend, and she has left him. Now he has a decision to make. His life is lonely and without meaning and the only creatures who would notice if he fell off the planet are the three rescue hens in his back garden, but he has the chance to do something useful, something to fill the gap in his life. Should he take the risk and become a mentor for Jordan, a teenage boy living with foster carers? Should he risk disturbing the dark shadows of his past?The decision Tony takes turns his life upside down, but he never even considers the choice he will have to make in the end. This is when chickens really come home to roost. 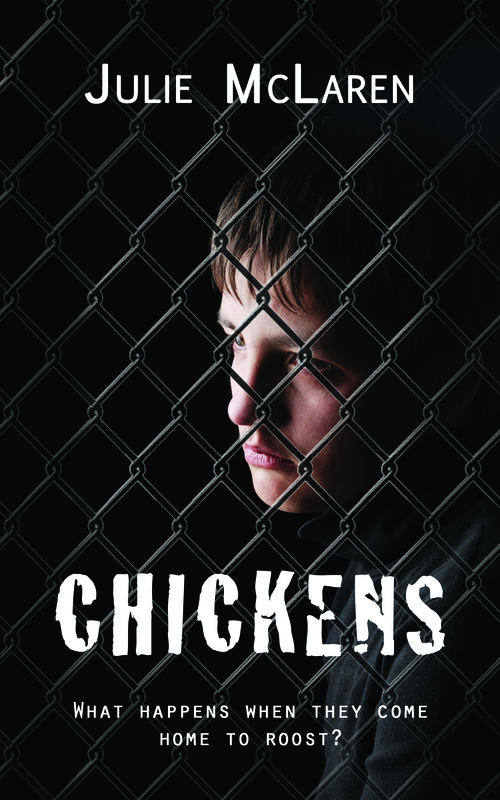 ‘Chicken’s is narrated by Tony, who mentors Jordan, a young boy struggling to survive the care system. The author uses a conversational style which is deceptively simple. The book starts slowly and builds layer upon layer until we are no longer sure who is more damaged; the person mentoring or the person being mentored. I cared deeply for both.I’d predicted the outcomes early on; oh how wrong I was! In a remarkable display of clever writing, hinting at but never explicitly telling until the very end, I was bowled over by the closing pages, which pack a powerful punch.